J.W. Warren was born in 1921 in Enterprise, AL. In a family of eleven children, he was the only one to take up music, starting at the age of fifteen or sixteen. He entered the military as a young adult and served for 14 years. 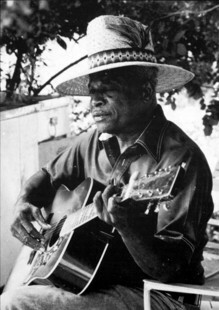 After serving in the military, he started farming and begain to play barbeques at house parties in southeast Alabama. J.W. Warren died of a heart attack at his home in Ariton, AL, on the afternoon of August 5, 2003.